Forum shopping has taken on a whole new meaning for a team of Florida attorneys. They've hung up their shingles at a local mall, lawyering to throngs of holiday bargain-hunters. "People just kind of walk by and ask if we're real attorneys," mall lawyer Melva Rozier told The Palm Beach Post -- as she met with a prospective client who'd just paid a visit to Victoria's Secret. Rozier's office is a kiosk at the Boynton Beach Mall, just steps from the food court. Dubbed "The Law Booth," the kiosk offers private space for attorney-client consultations, framed by wooden panels and frosted glass. The Law Booth opened Nov. 1 and has seen brisk business. It even opened early for Black Friday, at 4 a.m.
Rozier, along with attorneys Richard Carey and Paul Burkhart, say they're addressing a need for legal advice outside traditional office settings. "We're really trying to help people who can't do what they need to do during the regular working day," Carey told the Post. The mall lawyers' hours are typically 10 a.m. to 8 p.m. Their fees are anything but typical, and reflect deep holiday discounts: free 15-minute consultations, $50 for a half-hour consult, and up to $300 for working on wills and trusts. 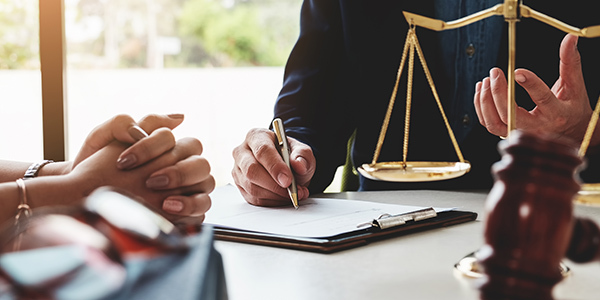 The Law Booth attorneys also advise on foreclosures, bankruptcy, landlord-tenant and family law matters, promising law-firm quality work at low-low Walmart prices. One important part of the mall lawyers' business strategy: Location, location, location. They chose an area they felt was underserved by existing legal aid services. Offering legal advice where it's convenient to customers seems to be a growing trend. A new law in the United Kingdom, for example, now lets supermarkets sell legal services in-store. For lawyers in the United States, the mall lawyer idea could be a great way to break in to an underserved community. Rozier, Carey, and Burkhart say they're considering expanding to two more malls soon.